Click on the picture to see a range of kitchens that we have manufactured. 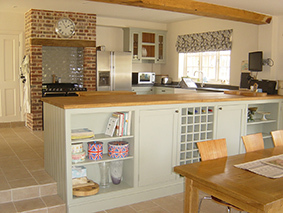 TD Joinery bespoke handmade kitchens, the heart of any home. All of our kitchens are handmade and perfectly crafted to meet our client's specifications, in any style or finish. Improving with age and hard wearing over many years, our kitchens will support your family's lifestyle requirements and will reward its owners for many decades to come.